Sometimes it helps to be a little innocent. We believe it can breed magic. 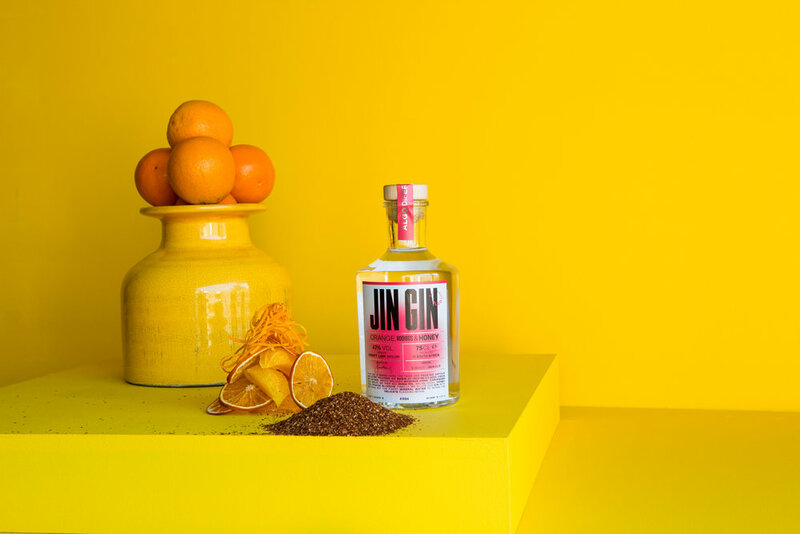 Take Jin Gin for example: It began with a crazy idea, followed by the guts to make it happen. J’Something has been a gin fan for years and he had a simple idea. He wanted to create a high-quality gin that had something new and interesting to offer the market – not just another celebrity gin. It’s kind of like pouring the perfect drink. You begin with one part J, add it in and you get Jin Gin. Then add two parts culture and story. J is a blend of Portuguese and South African; all the flavours would be inspired by his career of food and music. Finally, because presentation is always important – you make sure what you’re serving looks like something you want on your table! With this in mind, everything was set. Except for one problem: J had no idea how to make gin. To make something amazing, you need to collaborate with the very best – whether you’re making music or making gin. J met up with Ginologist, the people who make the best gins in SA. Craft Link, their parent company, took this idea and gave birth to the product with months of hard work and plenty of gin tastings – no complaints there! With products that passed the test, J knew he was on track. But a great product only takes you so far. You need a way to get that amazing gin to market! That’s why J linked up with the coolest distributors in town, Beverage Emporium. And that’s our story; a little bit of innocence, loads of passion and we’d like to think a fair bit of magic too. We believe we’re doing more than just making an amazing local gin – we want to give you a trusted friend in the kitchen, your favourite homey at the party and most importantly, a trusted companion to that celebration with your friends and your family. We call it Algo Diferente. This gin is an explosion of flavours, with flavours of orange, rooibos and honey. But when you share it with the right people, it tastes even better. Whether you’re cooking together in the kitchen, chilling outside with your favourite people or dancing the night away to your favourite music! We created this gin in the true spirit of algo diferente, with unexpected flavours of olives and honey. Mix it with the right kinds of people though – and it tastes even more incredible. Whether you’re watching the game together, pampering yourselves or getting down with all the best people at a party! We think a gin flavoured with tomato and sweet piquanté pepper is something everyone should try. It mixes well with a number of things, but it actually goes best when you share it with the right people. Whether you’re sitting down to a delicious meal with your favourite people, catching up with old friends or making new ones. In Portuguese, “something different” translates as Algo Diferente. This is our promise to ourselves and to you that we will always strive to create not only the best products, but products that make you reimagine what’s possible in the food and drink space. Products that bring a smile to your face and a twinkle to your eye. Jin Gin. It’s still gin, but it’s something different.